Every year, we get to cheer our favourite teams, watch all our favourite players maybe in a one single team, and breathe in the spirit and fervor of the grandest level possible – the IPL fever is here! ‘Skittles’ will be hosting the live screening of IPL matches, where you can come over with your squad and cheer for your team together. 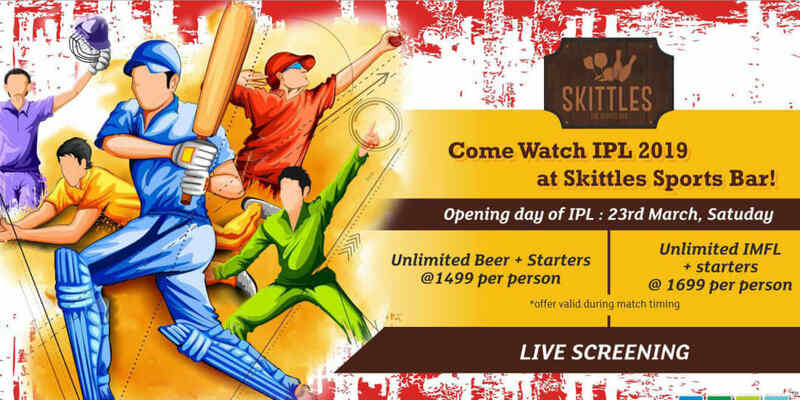 You can also enjoy bowling and the gaming zone at Skittles, while you watch the IPL matches and chug on some beer! The screening will continue for the entire IPL season. So mark your calendars and drop in to enjoy! Special Details: Event starts at 8:00 PM.